In the future world of the 1993 movie Demolition Man, no cursing was allowed. This "Morality Statute" was enforced by a device that detected cursing and then issued an appropriate citation. The Los Angeles city council last week announced a "No Cussing Week" that would take place every first week of March in perpetuity. So far, there are no convenient wall dispensers for tickets, but I guess it's just a matter of time. 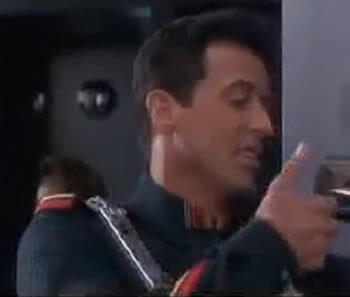 Take a look at the Demolition Man clip that demonstrates the Morality Statue enforcement device.